children’s literature – What's Cookin' @ Special Collections?! 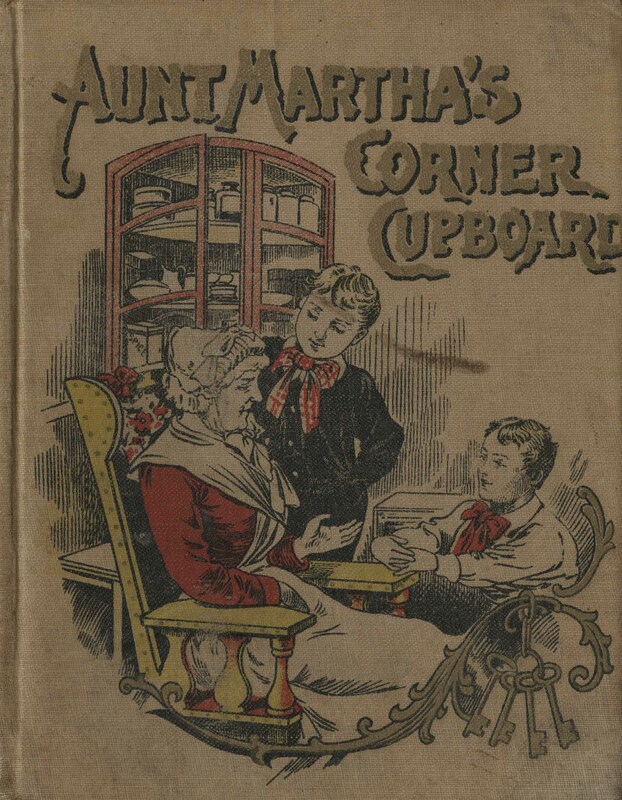 This week, we’re back to the children’s cookbook and nutrition literature collection, looking at Aunt Martha’s Corner Cupboard by Mary and Elizabeth Kirby. First published in 1875, our edition is from 1901. There was at least one edition between those, published in 1895. Aunt Martha’s Corner Cupboard is a series of stories told by Aunt Martha to her two nephews, Charley and Richard. We learn that both boys are less-than-stellar students at their school. One Christmas, they are sent to spend the break with their Aunt Martha, who they adore for her company, her jolly nature, her locked cupboard full of goodies, and her stories. Aunt Martha comes up with a plan to encourage the boys to be more curious (and hopefully better students in the future). Instead of her usual fairy tales, which even the boys have grown weary of, she decides to tell them a bit of history about tea-cups, tea, sugar, coffee, salt, currants, rice, and honey. This week, we’re looking at another instruction manual for cooks. This one, though, isn’t for adults–it’s for children. And while we have shelves of children’s cookbooks, each filled with recipes and directions, this one is a little different. It has elements of storytelling, a frame narrative that runs through each of the 14 chapters. 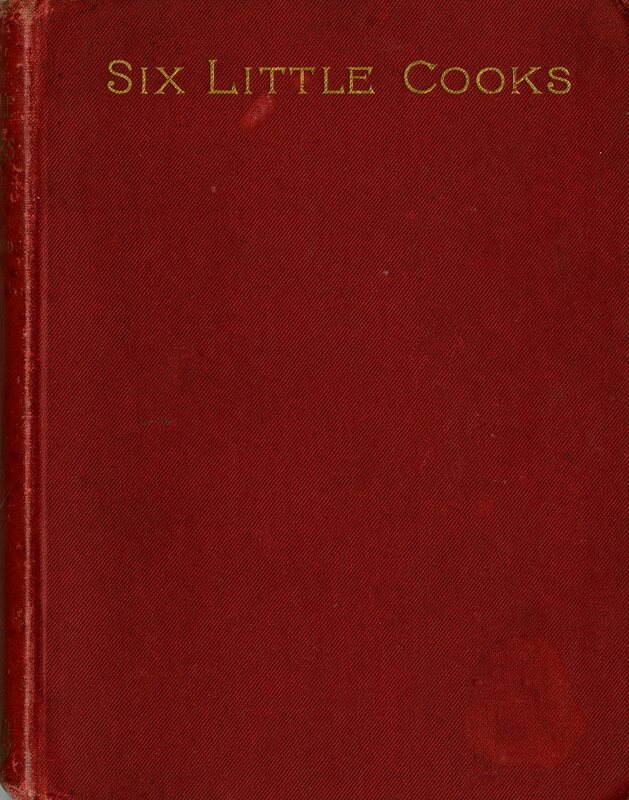 Our edition of Six Little Cooks comes from 1891, but it was first published in 1887. Elizabeth Kirkland’s book tells the story of Grace, whose aunt and cousin come to visit. 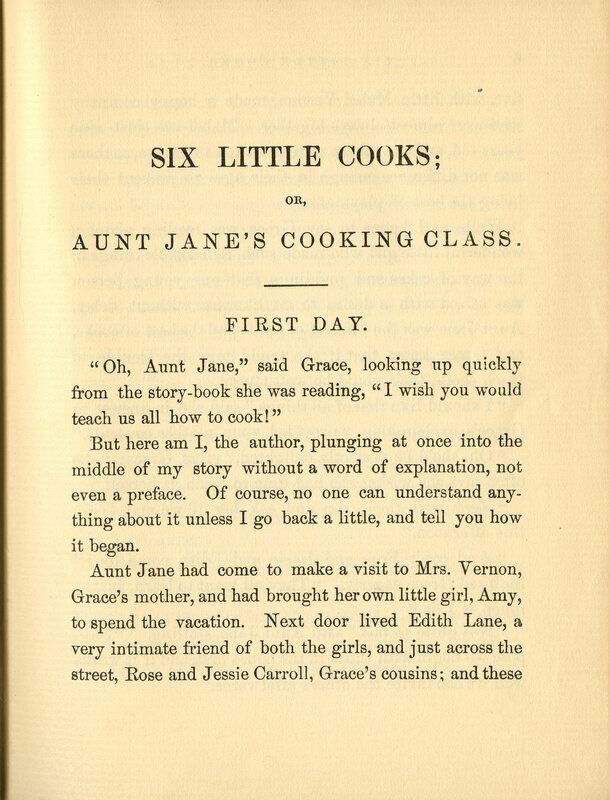 Grace, inspired by a story book, asks her aunt to teach her, her sister, her cousins, and her friends to cook. 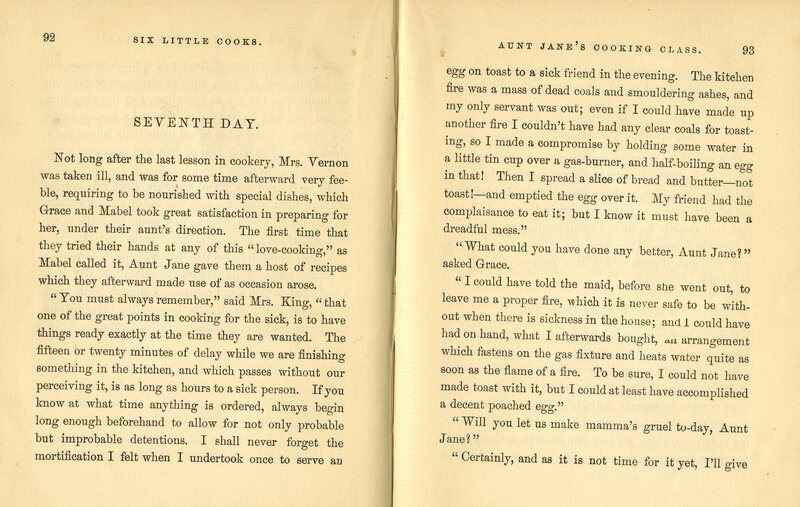 The 14 chapters cover the 14 days Aunt Jane spends teaching the girls recipes and etiquette for different meals, occasions, and events. The recipes are usually grouped in the middle of each chapter, numbered and labeled, surrounded by the plot and often information about how to properly prepare, serve, or clean up from the particular focus of the lesson. Unlike many children’s cookbooks and like many manuals for housewives of the period, there are no illustrations. The book is written in simple language that the intended audience of young girls would understand, and it seems clear they are meant to learn by reading and practicing, rather than being provided pictures or images of “how to” (though the story IS entertaining). That being said, it does seem like a more effective way to spread the message of culinary instruction. It gives young readers something they can relate to, while hopefully making it fun to learn–which is a lesson we can still use today! If you’d like to read more, you can always visit us. 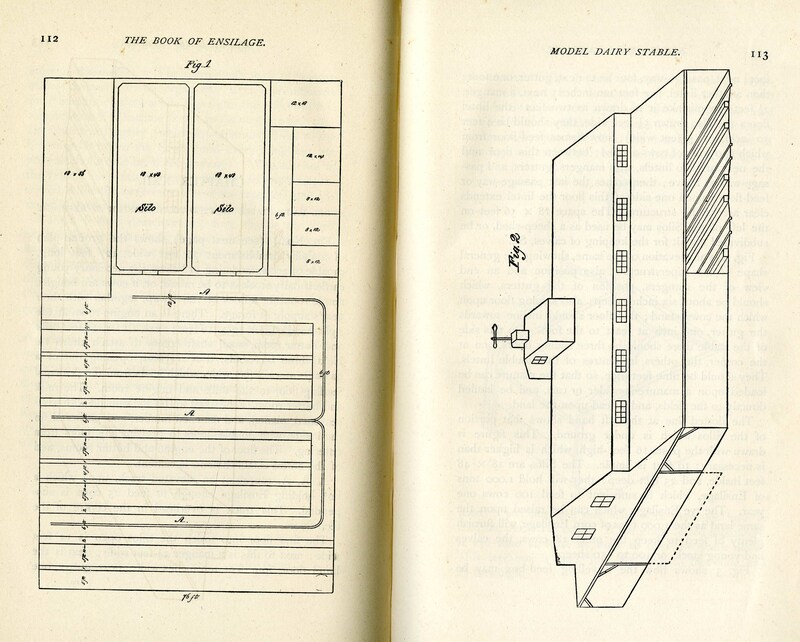 Or, you can check out a digital copy of the 1891 edition on the Internet Archive’s website. My French is pretty much non-existent, so apologies in advance for my inevitable translation and synopsis errors in the post that follows. Several years of Latin means I can read words and sometimes correctly interpret sentences, but we’re winging it a bit this week. On the other hand, Les Gourmandises de Charlotte, a children’s story that borders on a fairy-tale, literally stuffed with food (pun-intended), has to be shared! 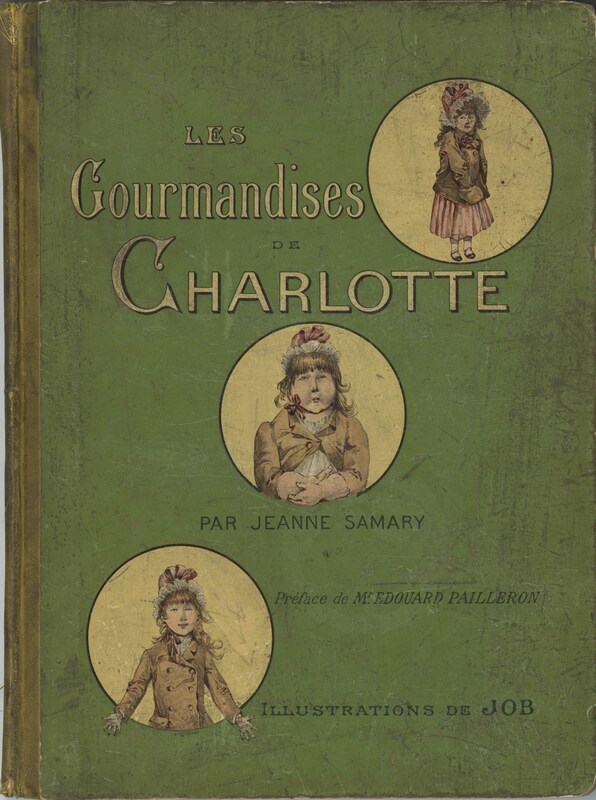 First published in the late 19th century, Les Gourmandises de Charlotte went through several editions between 1891 and 1915. We are lucky enough to have an early edition from 1891 (with a slightly fragile binding). This is the story of Charlotte, a little girl who gets a giant cherry-flavored candy egg for Easter, and all the trouble it causes. She develops a taste for sugar and sweets, first losing weight and eventually, in fairy-tale style, actually shrinking in size, as she refuses to eat anything else. She has a series of adventures while tiny (which are really meant as lessons to show Charlotte–and other children/readers–the importance of good eating). She regains her normal size, only to balloon up, facing mockery from other children. In the end, though, she sees the error of her ways and agrees to eating a more balanced diet. 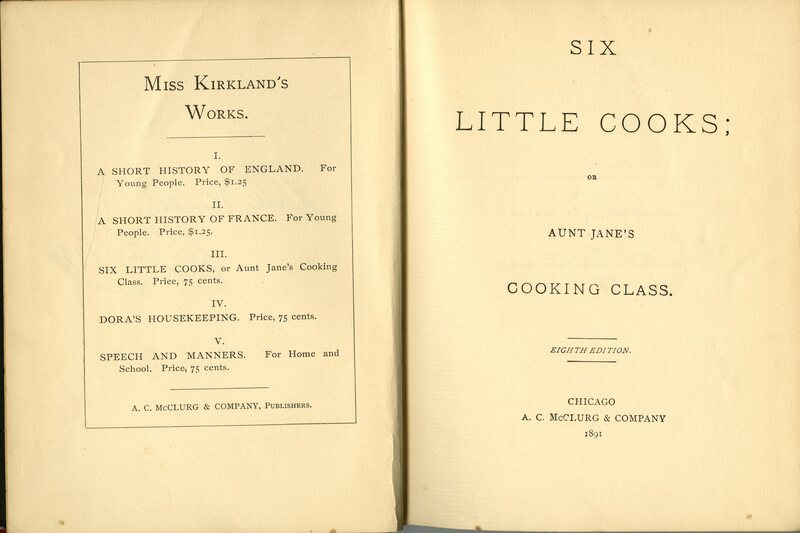 Primarily, materials in the History of Food & Drink Collection, including many books in the Ann Hertzler Children’s Cookbook and Nutrition Collection are cataloged with cookbooks, medicine, nutrition, and other related call numbers. Les Gourmandises de Charlotte is one of the outliers. While there is a clear message about food and nutrition, this is first and foremost a children’s story. As a result, it’s actually cataloged with juvenile literature. It could an easy reader for native French speakers of a young age, and non-native speakers learning French, too. The illustrations help tell the story for even the youngest readers and read-ees. Some books focus a little less on the cows as cows and more about how to feed, care for, and profit from the animals. The Book of Ensilage: Or, The New Dispensation for Farmers : Experience with “Ensilage” at “Winning Farm”. 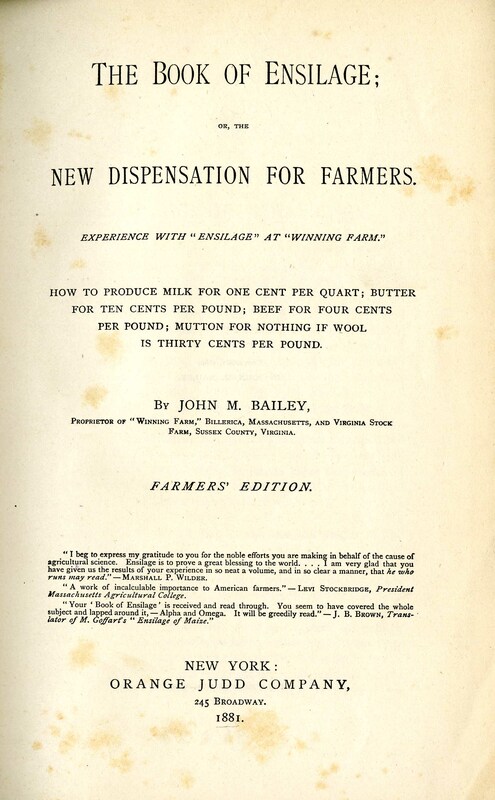 How to Produce Milk for One Cent Per Quart ; Butter for 10 Cents Per Pound ; Beef for Four Cents Per Pound ; Mutton for Nothing If Wool Is Thirty Cents Per Pound, from 1881, is just that! This image includes directions for how to layout a dairy barn that would contain cows, as well as feed storage. 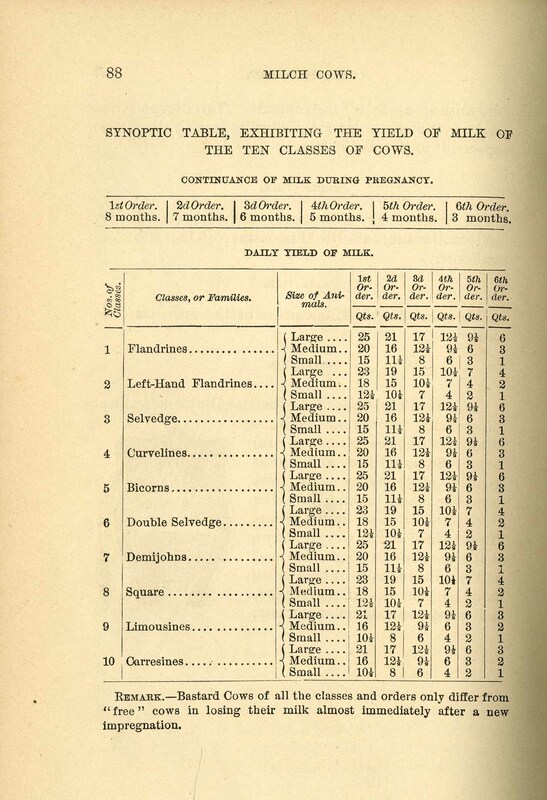 Some books are detailed (text-heavy) accounts of various breeds, their characteristics and classifications, milk production, etc. 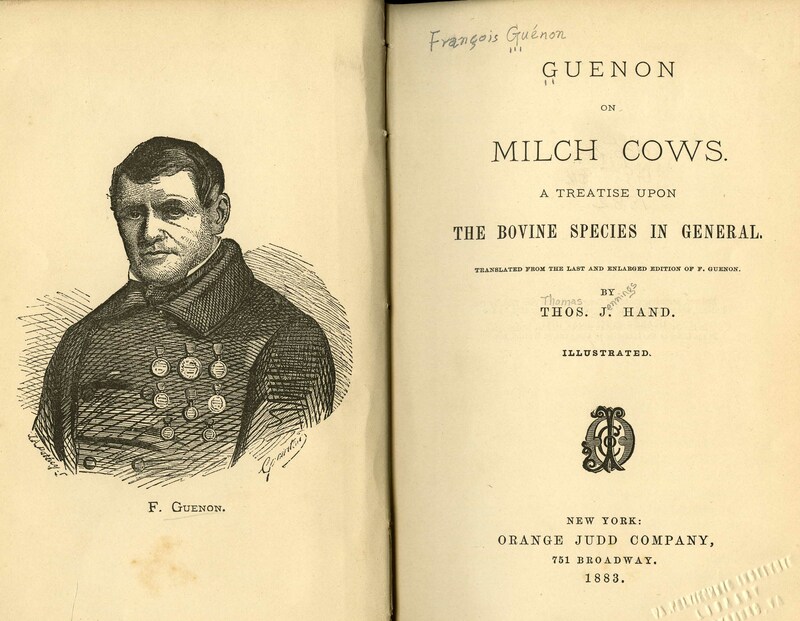 Guenon’s work, Guenon on Milch Cows. A Treatise upon the Bovine Species in General, went through several editions (including this 1883 edition), which were translated into English along the way. One of my favorites is Jacob Biggle’s Biggle Cow Book; Old Time and Modern Cow-Lore Rectified, Concentrated and Recorded for the Benefit of Man from 1913. This book combines technical and practical advice, along with color and black and white images. It includes chapters on everything from feeding cows, creamery design, and cow products (and by-products). Not all our books on cows are strictly agricultural education, either! Some of them are just for kids! This storybook for children, Mr. Meyer’s Cow, talks about cows and milk production. It is part of the Ann Hertzler Children’s Cookbook and Nutrition Literature Collection. As you can see, when it comes to bovines, we’re pretty diverse, from professional to amateur, and from farmer to children. As always, this just scratches the surface. If you’re looking for more historical approaches to cows, or simply curious to find some bovine trivia, be sure to come by. We’ll help you milk the collection for all its worth! This week, we’re delving back into the Ann Hertzler Children’s Cookbook and Nutrition Collection. 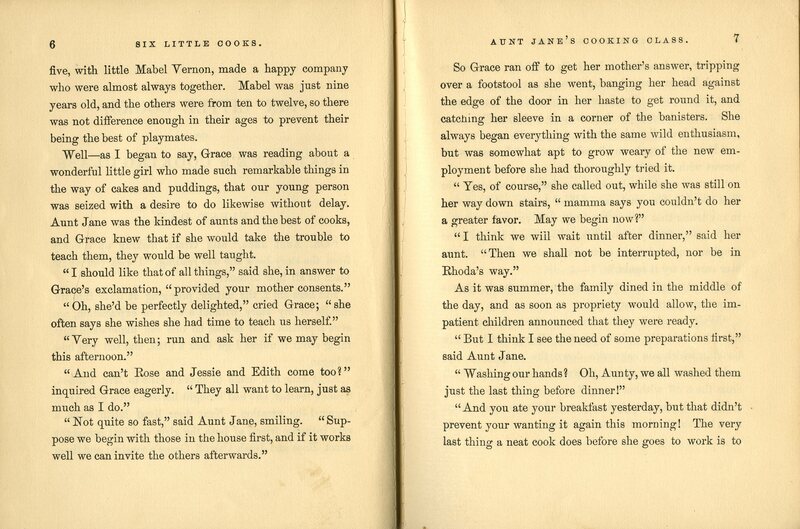 The Little Housekeepers and Other Stores, Illustrated, was published in 1886. We purchased it with funds from the Hertzler Endowment in May of this year. And, while it may not seem like it on the surface, this book is definitely at home on our shelves! 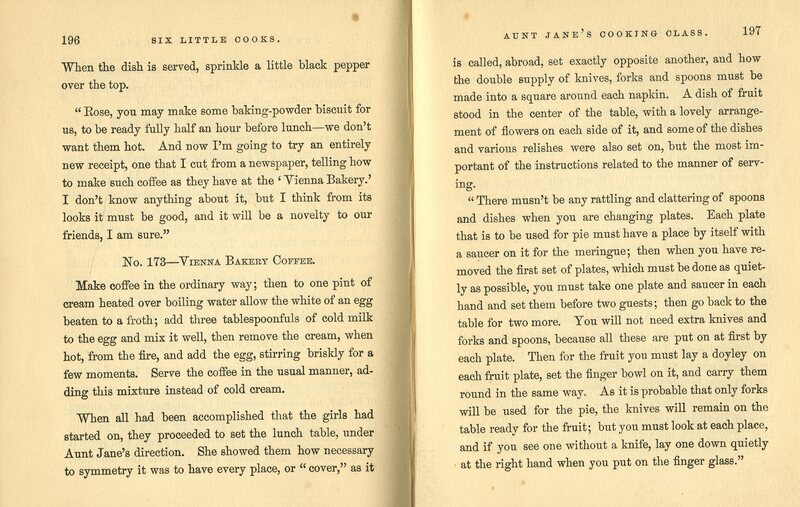 We’ve looked at “how-to” cookbooks for children (most often girls) before. 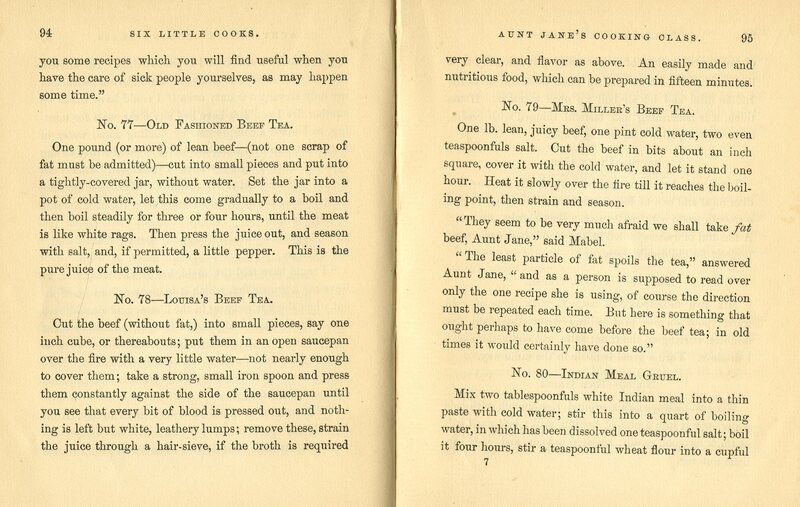 This book feels more like a version of a household management guide for little girls, a sort of “junior” version of something like The American Woman’s Home: Or, Principles of Domestic Science… from the 1860s. It uses stories and poems to teach young girls about a variety of domestic activities: cooking, laundry, food shopping, sewing, and raising children. The book also features a number of color illustrations, as well as many smaller black and white ones, all of which make the tasks in them look somewhat glamorous and exciting. The idea that books for children can help groom them for expected roles certainly wasn’t new in the 1880s. Etiquette books for people of all ages had been around much longer. And we can still find them today. However, this publication takes a clever path and combines education with amusement, incorporating activities young girls would witness everyday and adding elements of childhood (games, dolls, and other toys). We’ve seen this in other books in the Hertzler Collection, too, and it’s a tactic that would likely worked very well! The Little Housekeepers and Other Stories, in any case, is a great example of the space where children’s literature, cooking, and childhood collide, which is one of many reasons it matters to us. 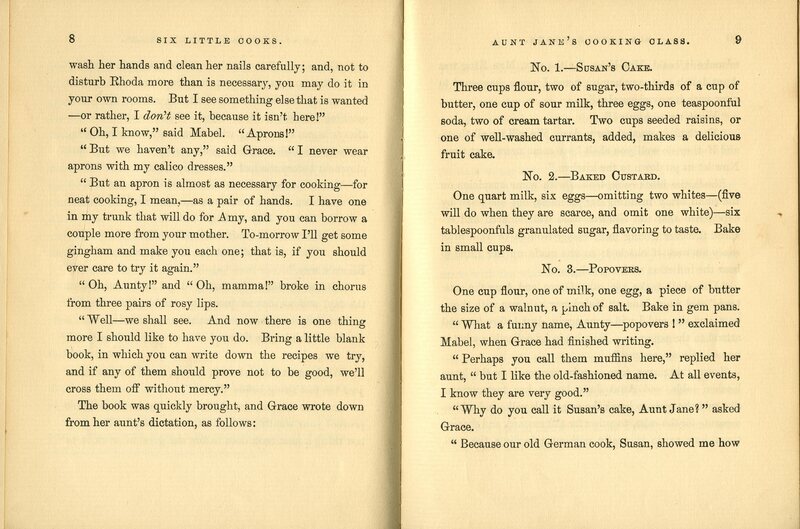 Some of the books in the Ann Hertzler Children’s Cookbook and Nutrition Literature Collection are stories, some are full of basic and simple recipes. Other items, like those we’re featuring this week, are about education. Jane Dale’s series of five books each focus on a key food group, contain lots of black and white photos, and are written in a simple, explanatory way. All five books were published around 1940 by the Artists and Writers Guild (Poughkeepsie, NY). They make heavy use of news outlet and USDA photographs. Each book includes background on the food group and specific foods within the group. There is information about processes involved in getting foods from their original source to the table, too. The volume on wheat talks about planting and harvesting techniques, while the book on fruits and vegetables talks about farming and growing plants. Other volumes contain details on food technologies and processing: the book on meat has information about fishermen making nets and even skinning cattle at the stockyards; the book on sugar has details on how sugar cane is processed in a factory. While some of the details may seem a bit–graphic (do we really want to SEE someone checking the viscera of sheep for disease? )–the history and facts Dale includes are wide-ranging and educational. Which is really the point, it seems. The series represented an opportunity to teach children about the foods they need to grow. We were lucky enough to acquire these books as a set in April of this year. Although a number of other public and academic libraries have some holdings, we appear to be the only one with a full set. So, if you want to know what equipment might be in a small, local creamery or what a boat full of 40,000 sardines looks like, we might just be able to help. Ann and Bob Learn about Eating, Cooking, Freezing, and a Theme Party! When it comes to educating children about food, materials in our collection take all kinds of approaches: cookbooks, story books, advertisements, activity/resource kits, and even a few toys! This week, our blog features Learning to Cook and Serve Our Meals by Ada R. Polkinghorne. Published in 1946 by the National Dairy Council, this story book follows Bob and Ann Brown and their parents, as the children learn about helping in the kitchen, cooking and preserving food, and having an airplane themed food party at school (no joke!). The World War II and just-post-World War II time in which this publication was written, the emphasis on home gardens and self-sufficiency lingers. Not only do Bob and Ann help harvest, they also help freeze and preserve fruits and vegetables for the winter. Food preservation obvious had value beyond the age of rationing, and it continues to play in an important role in many families today. A story book can be educational for children. Or, conversely, an education book for children can have a fun story. This is a story children are intended to relate to, giving them a greater ability to incorporate its values into their own lives. Kids can (and should) learn to cook! The kitchen shouldn’t be a foreign place. Rather, it’s a place for work, fun, education, and experimenting/creativity. Vegetables are good to eat! Unlike many “sponsored” publications, this one is free from advertising, which is a little different. Items from the Ann Hertzler Children’s Cookbook and Nutrition Literature Collection that we’ve look at on the blog to date have included varying degrees of product placement. Here, the National Dairy Council refrained from overtly forcing milk or cheese on the Brown family. And certainly not all children’s publications have an advertising agenda either (an idea we’ll come back in the future, no doubt). While you may not be planning an airplane-themed party for a classroom of children any time soon, it is important to think creatively about food and family. There’s a lot you can do without the burden of reciting facts about flying or arguing over just who should be serving and why. Food really can bring people together, from preparation to clean up and everything in between–and a three day weekend holiday might be the perfect time to try it out!